MOTHER's Day is coming up soon! It's on May 11, 2014. So, what ways can you honor and celebrate your mom, wife, mother-in-law, grandmothers, sisters and aunts that creates powerful memories? What are some awesome recommendations for Mother’s Day gifts? Celebrating and giving gifts on Mother's Day can be challenging task for some. Of course, on Mother's Day this year, you want to delight her by gifting a special day treatment and selecting good gifts of many choices like fresh flowers, perfumes, jewelry, or other delightful presents. What is meant by "Queen for a Day Treatment?" It's a day to show appreciation to own mother to get away from the everyday chores by.giving her treatment that would sure make her feel really loved. For examples; spending the whole day with fun activities and things that she truly wants to do, give her a massage, spa gift basket, facial treatment or send her a date with dad to their favorite hotel and restaurant. Lastly, give her a hugh and tell her how much you love her. Everyone agrees that time is the most precious thing in relationship. When we come of age, there’s a bit of disconnect of quality time together between the children and mom. Sometimes we are with our mom physically but not with her mentally. In this situation, what really mom need to spend time with their kids more of value time. Talk to her, indulge in her activities, and have some memorable time together. Don't waste every opportunity to bond with mom. Flowers for mom on Mother's Day are the gift that is always welcomed for the right size and color, and will never have to be returned. Flowers are sure considered tasteful and thoughtful. Since woman basically enjoy the great smell and freshness of flowers that can "swing" her inner mood to be happy. Flowers can be ordered over the phone or via online, so they are very convenient for you as a giver. In addition, they are also basically inexpensive, but still sends the message of love and appreciation for the receiver. A gift basket for mom is a good idea on Mother's Day because there is a wide variety collections available nowadays. Each having its own arrangement that will fit Mom just right! This present can bring a personal touch to gift giving. Some Moms prefer gift basket that contains foods, flowers and chocolates with hand written note saying how much the kids love her. You may also think to present her a gift basket with beauty body care/bath products on it. Write Mom a letter telling about the whole good things she’d done for you including the good memories you have with her. Write with your heart how meaningful she is since you were a kid till now. Share with her the things you've been carrying in your heart for a long time. Write Mom the greatest compliment ever. Show her with your hand written note instead of computerized one. Home video and CD – a tribute to mom can be a great gift on Mother's Day. On this occasion you need to create a short home video that is a compilation of family videos. The point is she can watch it sometime whenever she misses her children. Or if you don’t have family videos then you can burn a CD Mix, a collection of all her favorite songs that remind her when you both used together. There are more ideas and activities for Mother's Day. 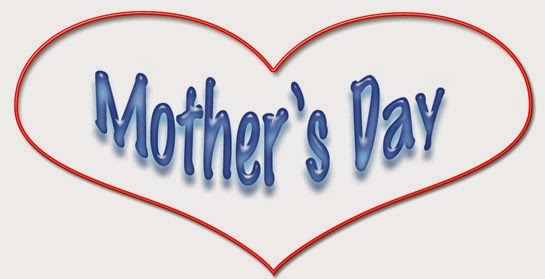 Finding memorable activities and gifts for Mom in 2013 are NOT difficult. Just remember the basic … mom doesn’t want their children to spend a fortune in order to make her really happy!